Let’s get this right straight-up: Eating cheap and eating well are not contradictory ideas in Bangkok. In a city that rarely cooks at home, food is mostly had on the go, at accessible eateries, at convenient times—which explains the city’s thriving street food culture. 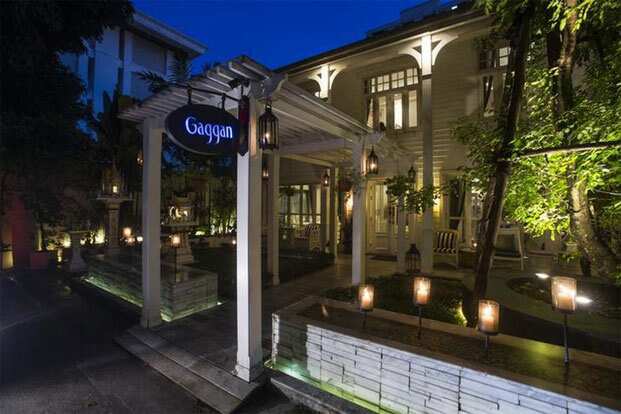 After a week of eating poached, steamed, sautéed fish and veggies at unnamed stalls, however, for our last night in Thailand in October, we booked ourselves into Gaggan’s. It was #1 in San Pellegrino’s list of Asia’s Best 50 Restaurants for 2015, a position it has retained this year. The 2016 list was announced on 29 February. Here’s why no one’s likely to knock the Kolkata-born Gaggan (he prefers using one name) off the pedestal just yet, at least so far as Indian cuisine is concerned. He makes food fun. Go by the menu or by the plate, but nothing is as it seems. Take Charcoal: It looked literally like a lump of coal, almost unappetizing, but such is the mystery built up around it (The menu says: “Be surprised! We won’t tell you what it is") that one breaks into it tentatively. Fork a bit into your mouth and the tastebuds explode: A commonplace fish chop, a Kolkata street food, has been refined with spices (panchphoran, ginger, chillies), molecular gastronomy tools (Maltodextrin, charcoal powder, Trisol, a wheat fibre) and techniques (fermentation, sous-vide) to a mindbending level. It pretty much sets the tone for what is to follow (even if you’ve read too much about the preceding 10 appetizers, including the yogurt spherification and edible-plastic sachets): Each dish surprises, from the super-sophisticated Magic Mushroom (a mushroom crepe with porcini and truffle puree), which wouldn’t have been out of place on a Yuletide table, to the “gory" plating of Who Killed the Goat?, an artistic splash of ‘blood’ next to a meltingly tender lamb chop cooked sous-vide and finished off on a charcoal grill. He’s international. Gaggan’s food is identifiably desi, but he’s no snob when it comes to borrowing from the best of the world. For instance, he makes no bones about sourcing the Iberian pork loin, and then serving it with a sweet-and-sour Punjabi pickle mix, topped with edible flowers. Or handpicking the best blue swimmer crabs for a coconutty curry with flavours that wouldn’t be out of place in a Konkani dhaba. Or adopting cutting-edge techniques and marrying them with homegrown flavours. His kitchen staff, when we visited, spoke between eight and 10 languages: They bring in an extra edge. He respects integrity. As wild and whacky as Gaggan’s dishes appear to be, bite into them, and the flavours are distinctly Indian—only, many times more enhanced through technique and skill. Take the much-feted Dhokla, which involves spraying the batter into a nitrogen bath so that it resembles flecks of snow. At our neighbouring table, four Britishers couldn’t recognize the dish they’d each sampled back in England, but the moment they bit into it, they all went, “Oh wow, I know this taste." He keeps it real. Indian food, he’s well aware, has had bad press: Too spicy, too hot, too much of everything. His flavour of the month status—a long month, admittedly—with global lists has some cache, but he knows he needs to continue to keep it interesting. It’s a tough ask, given that Gaggan’s sells outs for months in advance, and diners come looking for specific dishes—one reason the plastic sachets and the Dhokla never leave the menu—but the 38-year-old chef has enough faith in his own capabilities and in the infinite treasure-house that is Indian food to keep pushing the envelope. 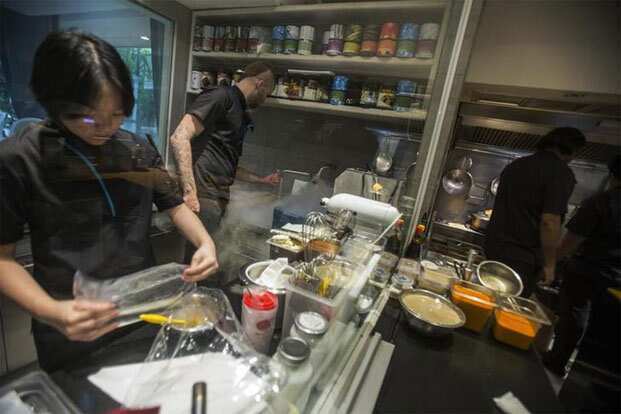 Moreover, the chef is only too aware that on any given night, 25% of his tables are occupied by Indians, but the rest of his clientele, be they Asian, European or American, looks for food that’s at par with the best in the world. There’s no way he can fall short of their expectations either, especially with a cuisine of which he’s considered to be the global flag-bearer. He’s choosy who he does business with. For five years, Gaggan preferred to hunker down and build his brand in Bangkok, supported by investors who let his creative genius full play. This year, he plans to open his first Indian outpost; but only after long negotiations, at least one stormy parting of ways and lots of elbow-room manoeuvres, to ensure he has as free a run as he is used to. It’ll be interesting to see, though, how two restaurants test the chef.